I usually keep my two careers somewhat divided. As a mystery novelist, I write about crime, motive, and opportunity. As a newspaper columnist, I’m all over the place, like kudzu. But a few months ago, a fellow writer died, and even though I never met her, I have been feeling remiss for not telling the world how much I admired her congeniality on the printed page, her talent, and her inspiration. Inspiration, because contrary to conventional wisdom about writers and their work, her books just kept getting better and better. I am speaking, of course, about Sue Grafton. 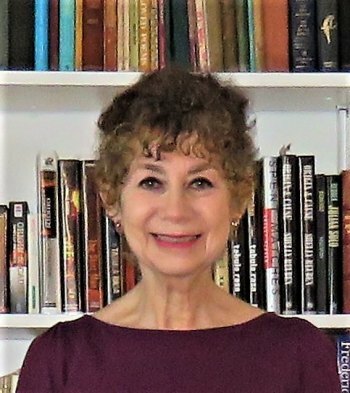 And I write not as a book critic or a mystery-genre historian, but as a reader and licensed private detective (I guess that’s a third career), who – being in the business that she fictionalized – was amazed by how well she did what she did, and how often she got it right. Many P.I. novelists, particularly women for reasons I can’t even begin to comprehend, make their female detectives angry man-haters who would as quickly kick an assailant in the groin as button a jacket over their Smith & Wesson automatics with nine-round magazines. But not Grafton’s brilliantly conceived private detective, Kinsey Millhone, of the celebrated alphabet series:“A is for Alibi,” “B is for Burglar,” and so on. As Sun Grafton progressed through the ABCs, each book seemed to project greater and greater confidence in her reader’s commitment, and instead of slamming the door shut after a mystery was solved, she increasingly closed it gently on us, as if knowing that we would come back for more. And how could we not? Unlike Kinsey Millhone, my area of expertise was fire. But a crime scene is a crime scene, and after initially processing the evidence, neither she nor I spent a whole lot of time at one. I loved that Grafton got that right, and I loved the way Kinsey conducted interviews, followed up on (sometimes dead-end) leads, analyzed what she had learned, and tried to make logical deductions. My favorite parts of each book, since I had done the same so often myself, was Kinsey’s meticulous note-taking; and later how she would re-read her notes to make new connections and/or to see if there was anything that she had missed. All of which could be summed up in one word: Thinking. In the great Sherlock Holmes / Hercule Poirot tradition, Kinsey Millhone used her mind to solve cases. Fairly often, Grafton’s brave detective would get into a sticky situation and realize that she had left her gun in the glove compartment of her car. I would laugh when this happened, because I’ve had a carry-permit for years, and like Kinsey, my revolver was usually nowhere near a threat, but home and locked up in my safe. Okay. It was a plot device that prolonged the suspense (if Kinsey had shot the villain right away, the bad guy would be dead and the book would be over), but it also reflected an often-inefficient reality. Whenever I accompanied my late husband Charlie King on an investigation, he would tuck his .38 in my purse, because carrying a gun in a belt holster can be uncomfortable. Which brings me to the question of what I would have done if we had walked in on a homicidal maniac. Throw my purse at him? So Sue Grafton got the gun-not-where-it-should-be thing right, too. Like how Kinsey always fell in love with cops – masculine guys who thought the same way that she thought and had little patience for nonsense. Like her circle of friends … from her cherished octogenarian landlord, Henry Pitts, to the gang at Rosie’s Hungarian Restaurant, where she went to eat bad food, drink bad wine, and unwind with people she loved. Like her essential decency, combined with cautionary pessimism, but always willing to go an extra inch to give someone the benefit of the doubt. Like her one little black dress (all-purpose and wrinkle-proof). Like her peanut butter and pickle sandwiches. Most of all, though, I give Sue Grafton my own personal Lifetime Achievement Award for putting the brain back into detective work; for creating a female investigator who actually liked herself and liked men; and for having a masterful ability to write a damned good yarn. Other people are buried with their love letters, their jewelry, or (like the pharaohs), their household goods. So if Sue Grafton takes with her to eternity the letter “Z,” she has earned the right, and that’s just fine with me. Copyright © 2018, Shelly Reuben - Originally published in The Evening Sun, Norwich, NY - evesun.com Shelly Reuben’s books have been nominated for Edgar, Prometheus, and Falcon awards. For more about her books, visit www.shellyreuben.com.